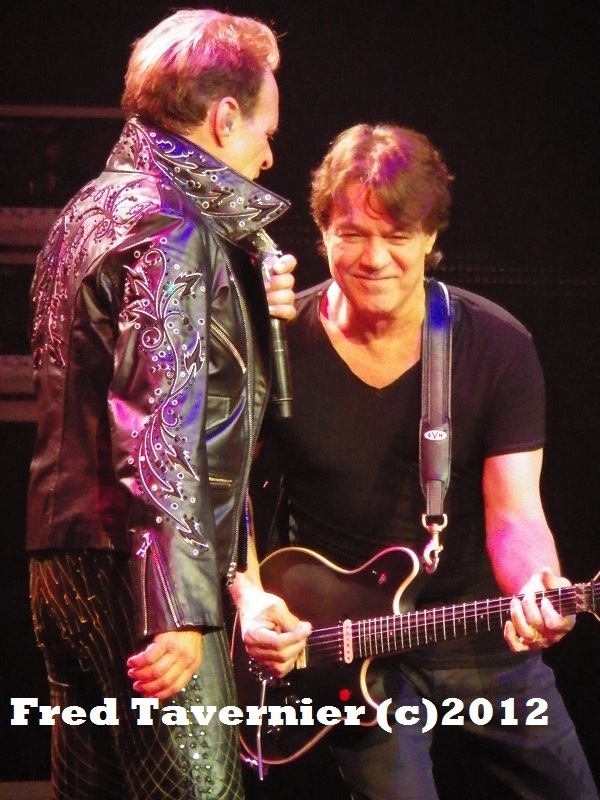 When Rolling Stone reported on May 15th that Van Halen was postponing their shows that were scheduled after June 26th I figured it to be the end of the band and that the dates prior to June 26th would soon follow. RS reported that their insider told them all this was due to David Lee Roth and Eddie Van Halen fighting like cats and dogs to the point they couldn't even be in the same room together. Not a real surprise if you have ever followed the VH drama. Two weeks later, to my amazement, David released a video statement that all was well with the band and the tour being postponed was due to over scheduling before they head to Austraila. OK I'll buy into that for now but I was still on edge thinking at any minute the tour will end. The morning of June 5th finally arrives and the first thing I do is check my email to make sure the show is still a go. Nothing in my email so I was very happy that VH proved me wrong. The HP Pavilion was close to being sold out with an older crowd in attendence this night. Kool and the Gang had opened the show but unfortunitly I missed their set. Van Halen came out to a crazed house and tore into "Unchained" of their "Fair Warning" album. 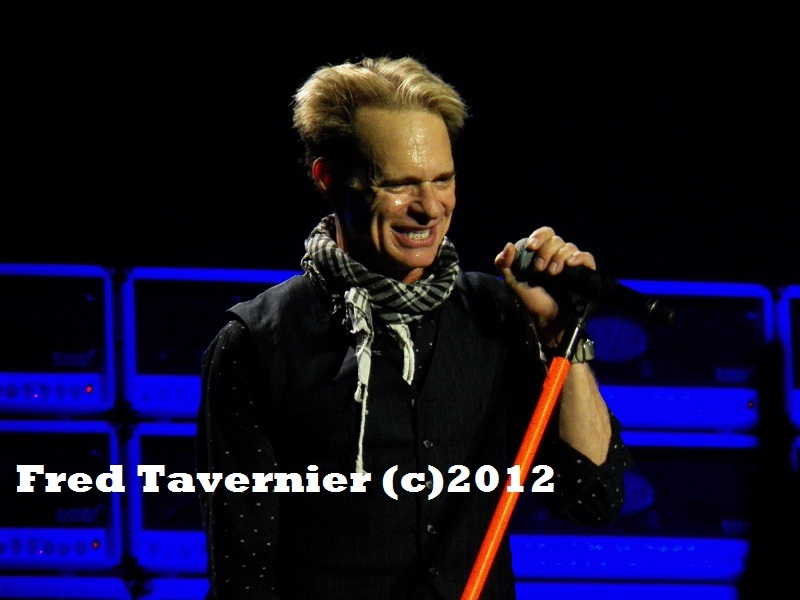 The sound was flawless and David's voice sounded really good....for now. The band followed this with "Running with the Devil" and one could tell this is a night of nothing but Van Halen's greatest hits. The band consists of all the original members except Michael Anthony who was replaced back in 2007 by Eddie's son Wolfgang. 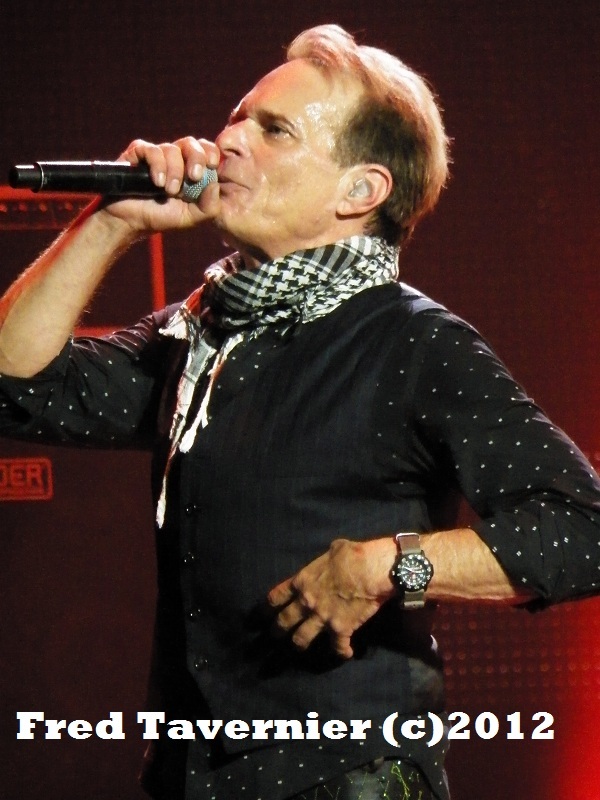 I have read a few articles that have been critical of Wolfgang with even the famed Eddie Trunk chimming in on the comparison between him and Michael Anthony. 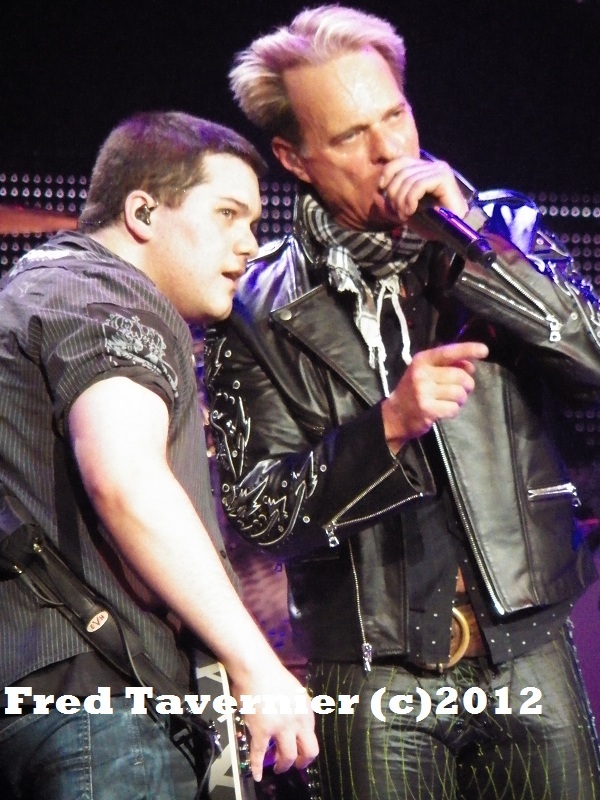 I saw Wolfgang performing with VH in 2007 when he was16. He really didn't impress me at that time but he was young. 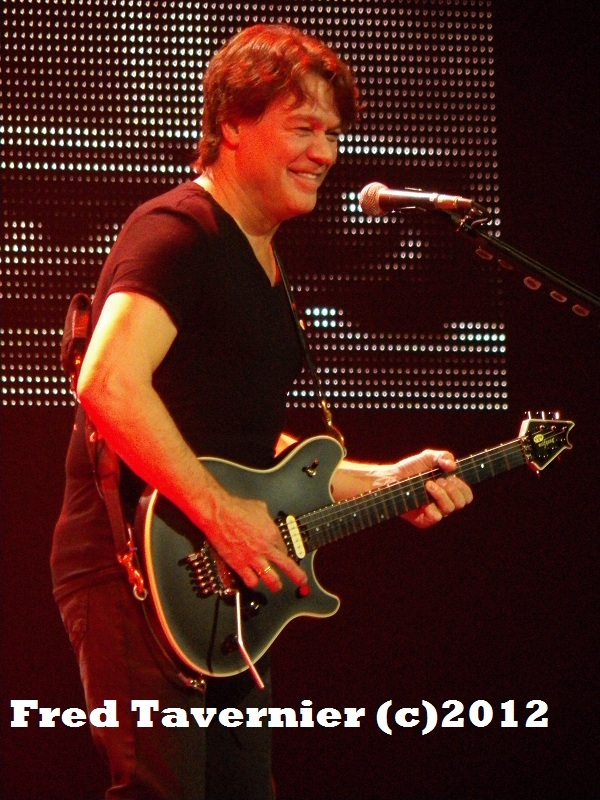 Five years later now and I can say I was amazed by the muturity in his playing and backing vocals. This night he was on fire and tore it up. Great interaction with David and his dad. Will he ever replace Michael's legacy ? probly not but becoming a solid player in his own rite. 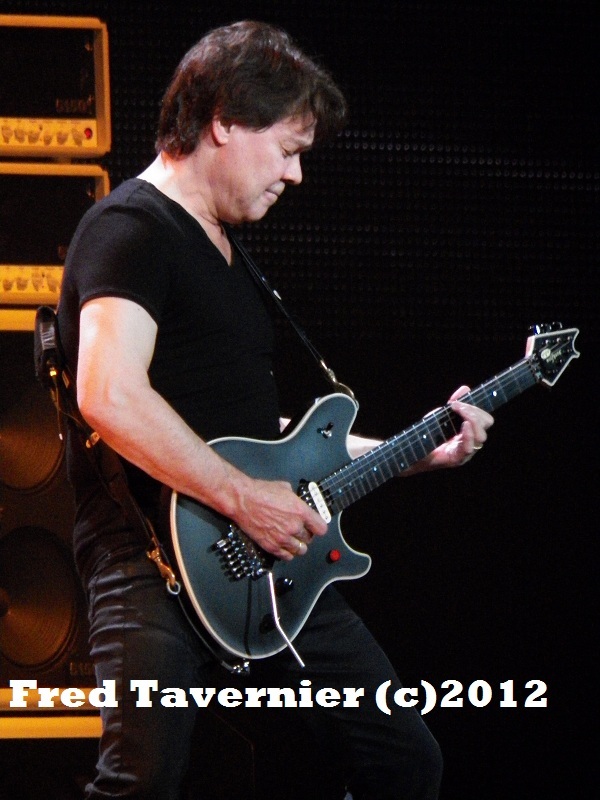 Eddie Van Halen is flawless and his guitar sound was incredible. I don't now what more to say about a legend. At the end of their last tour Eddie had to head back to rehab. With his demonds hopefuly behind him he looked great and very healthy. Eddie looked very happy and his interaction with David looked like the old days. Very pleasing after the rumors of discontent in the VH camp. 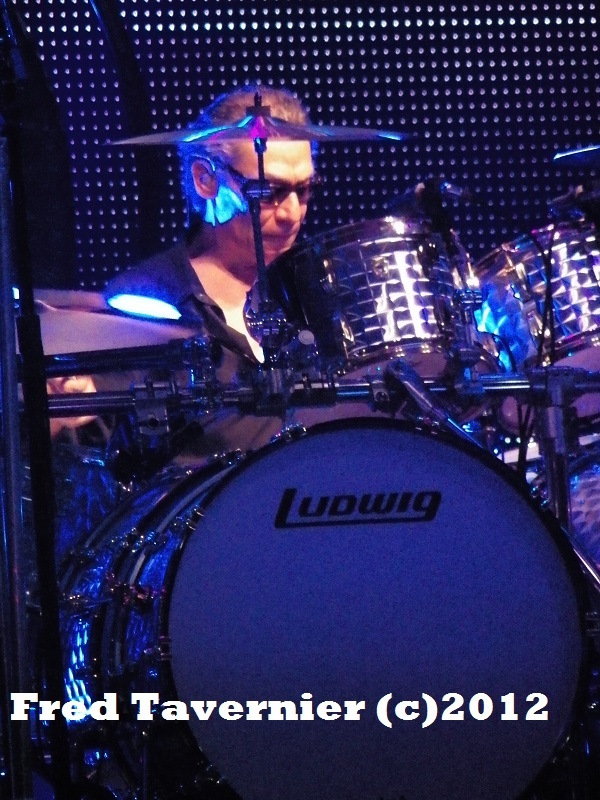 Alex Van Halen was his normal self keeping solid timing and doing his classic drum solo that he has become famous for over the years. 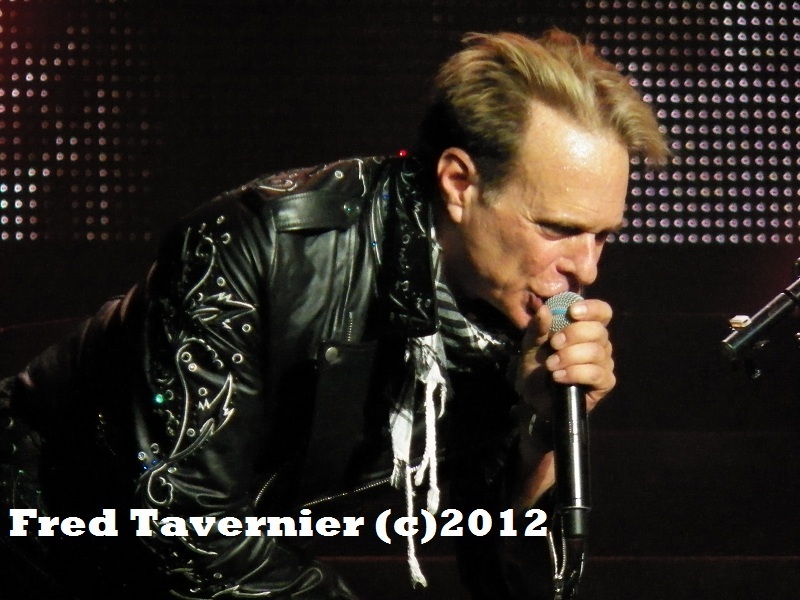 Being the showman and frontman that he is David Lee Roth started off the night very strong. He nailed the first several songs and then it was hit and miss from there. 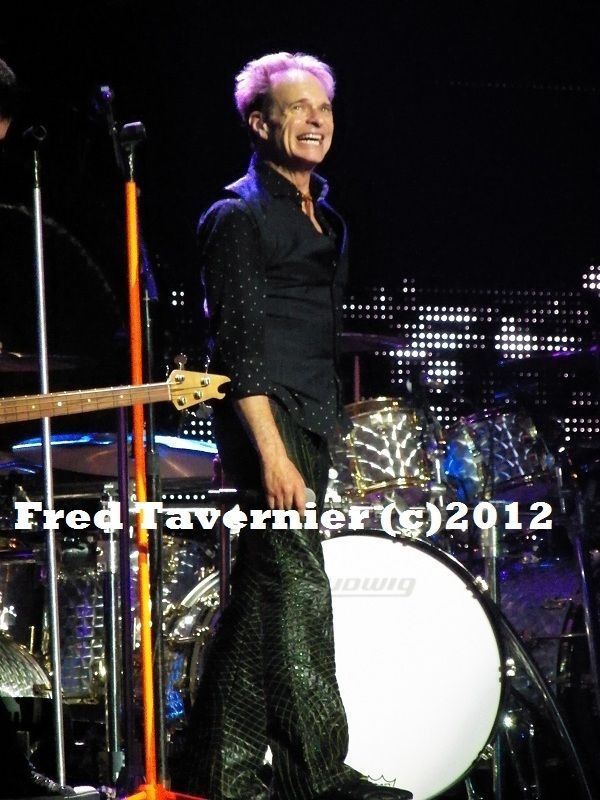 He cruzed around the stage in his classic style posing and smiling. It wasn't until " I'll Wait" that you cold really hear his voice giving out. Like I said t it was hit and miss at this point and on the next song " And the Cradle will Rock "
he nailed it. Where David lost me in the show was the 5-10 minute ramble about his dogs. This was accompanied by video of his dogs on the big screens. I understand the break this gives the rest of the band but there are alot of other things he could have talked about. I'm shocked the rest of the band bought into the dog thing. Overall David pulled it off and put on a great show. I'm not sure about the rifts between David and Eddie that Rolling Stone reported on but the guys werent showing any of it on stage this night. They ripped though 22 songs including three off their new album " A Different Kind of Truth " One song that caught me of guard was the first single " Tattoo " off their new release. I didn't dig the studio version but when they played it live it took on a whole differnt sound. I really dug this tune live. The stage design, light show, sound, setlist, and the bands performance made for and incredible live show. 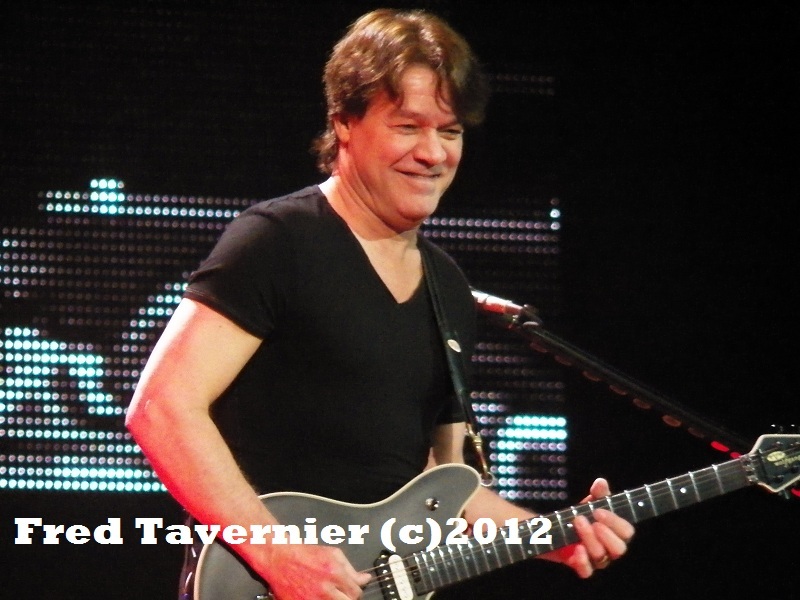 I really enjoyed Van Halen despite a few weak songs by David's voice this night but we all know thats how live shows go. When Van Halen reschedule's the second leg of their american tour I would recommend that you don't miss one of the greatest and most influential bands from the glorious 80's.